With summer just around the corner, we're all at the brink of drifting away from the one that means most to us: our drinking buddy! We've heard it all before. That moment your friend turns down a night of drinking because they want to watch their figure for the hot summer months ahead. Well, Be-Tini is here to save us all. With only 25 calories per ounce and no added sugar, Be-Tini has made it their mission to create cocktails you'd be both proud to serve and happy to receive. Don't believe us? Try it out for yourself! 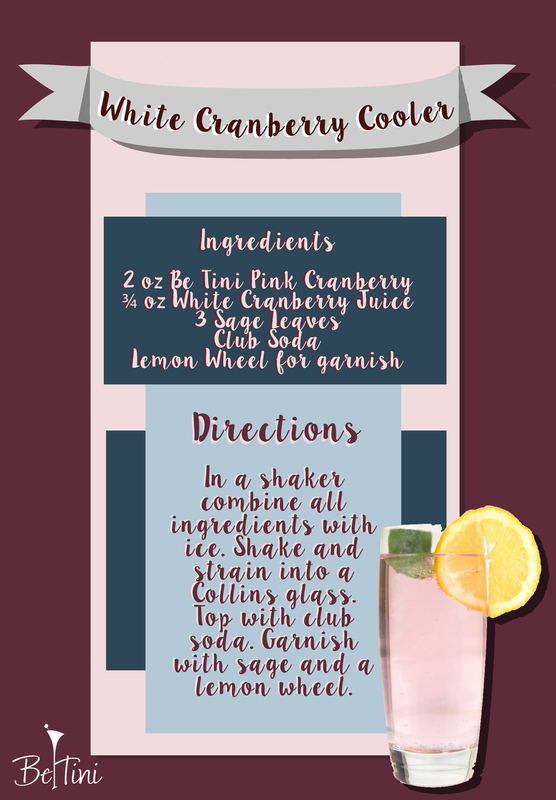 The recipe below has in it Be-Tini Pink Cranberry, but if you're interested in something a little more tart and/or exotic, try their Be-Tini Appletini and their Be-Tini Tropical Sunset to get a true feel of what they're all about. If you're interested in tasting Be-Tini, stop by Garvey Wholesale Beverage on Thursday, May 19, 2016 from 12:30- 4:30 p.m. for a demo and tasting! Call us for more information or check out our Calendar of Events to find out what the latest demos and tastings will be.